Schizachyrium scoparium is a C4 perennial bunch grass (Downton 1971), 50-120 cm tall, can live 60 years; stems tufted, also sod-forming on moist soil; new shoots emerge in summer, stems often waxy blue-green before flowering; branching all along main stem; flowering branches solitary, extending well beyond leaves. Leaves basal and along stems, 0.3-0.7 cm wide. Schizachyrium scoparium little bluestem.blooming.© 2014 Katy Chayka.Minnasota Wild Flowers.minnasotawildflowers.info (Accessed 2/2017). Flower spikes each with separate stalk, flowers 5-20, each 0.5-1.0 cm, awn 0.7-1.4 cm, with a flat, white-hairy, sterile stalk extending above the fertile floret; inflorescence whitish, fuzzy-hairy, in delicate spikes outside leaves, wind pollinated, outcrossing (Roos and Quinn 1977); blooms Sept.-Oct. Ripening stems turning blue-purple then reddish-tan, persisting through winter, seeds plumed. Seeds eaten by birds and small mammals (Martin et al. 1951). Origin: Native, formerly more common in prairies to the west of NYS (Brown 1979). 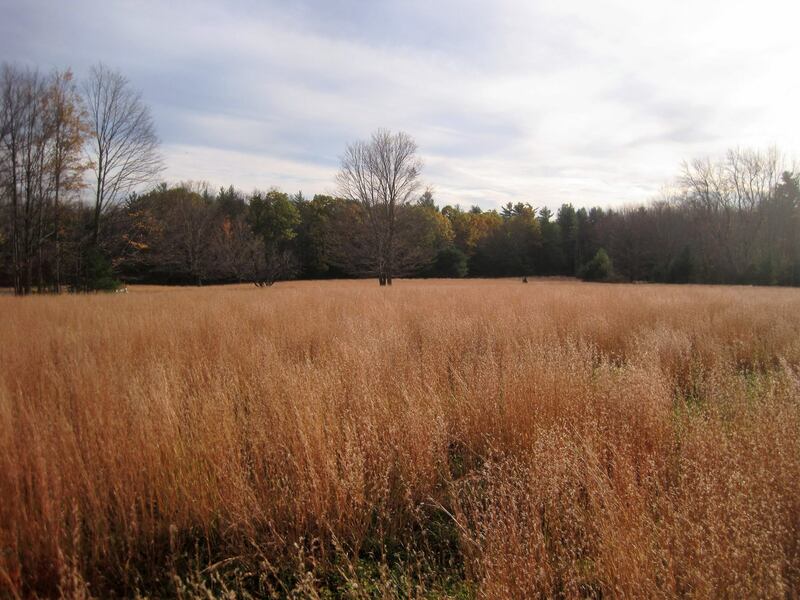 Habitat: An “old field” grass on native soils, rare on fill but often planted in restoration projects; soil pH 5-8.4, tolerant of drought, moderately tolerant of fire, intolerant of salt, shade (USDA, NRCS 2010). Schizachyrium scoparium.fruiting. Jim Conrad. Back Yard Nature. backyardnature.net (Accessed 2/2017). 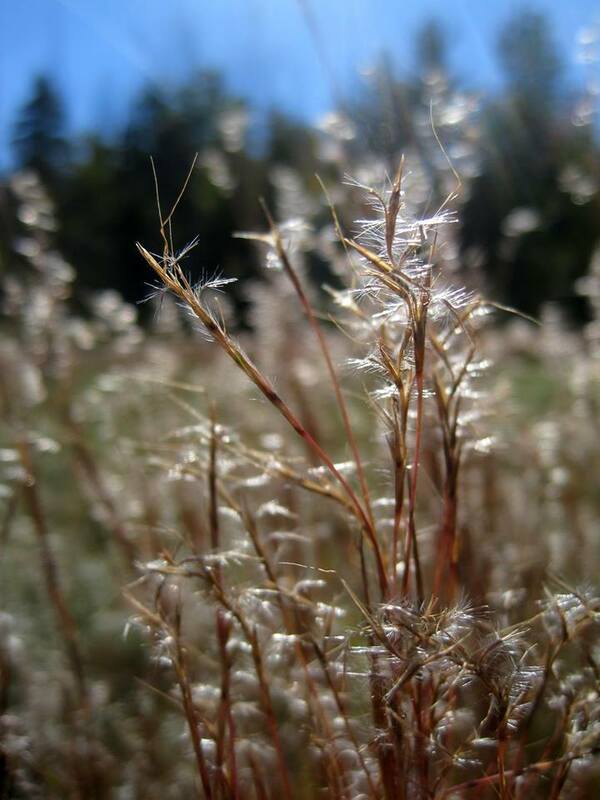 Notes: Plants eaten by deer (Martin et al. 1951). Fed upon by several species of skipper butterflies, other predators include: leafhoppers, oligolectic spittlebugs, thrips, and beetles (Hilty 2006). Long lived, shaded out by taller woody vegetation as succession proceeds, but can be maintained by periodic burning. Usually an indicator of past disturbance on native, acid soils, high quality habitat for native plants (Gargiullo personal observation). World-wide there are about 50 species of Schizachyrium. 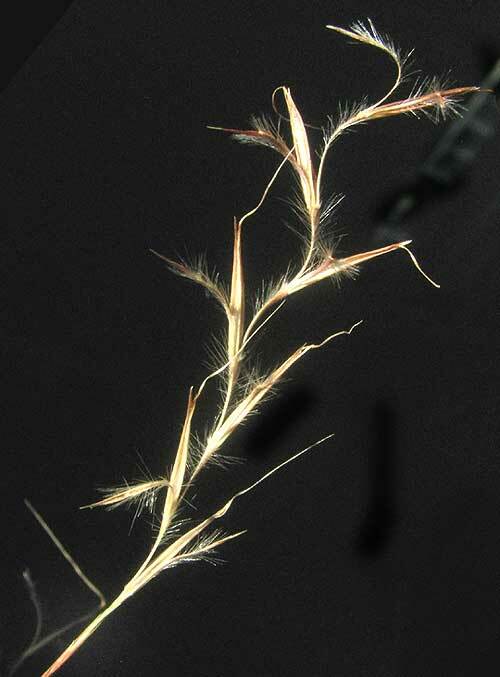 Very similar to Andropogon virginicus (see above). 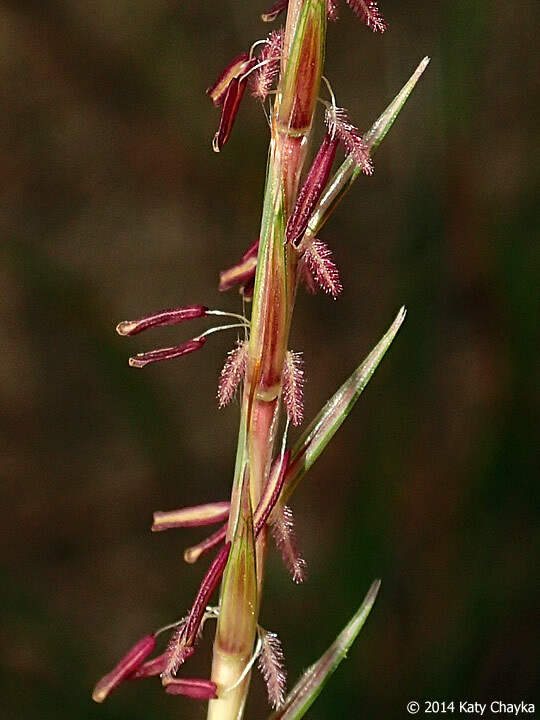 Previously included in the genus Andropogon but now put into Schizachyrium on the grounds of structural differences in the inflorescence. The most obvious difference is that the flowering branches of S. scoparium are solitary and stick out from the leaf sheath at maturity, whereas A. virginiana has several flowering branches joined together and tucked behind a wide leaf sheath.